Paul has said that the fishing at times has been hard, no fish, bright and no wind. But that didn’t stop him catching a 21.5lb sea trout on the double handed rod. 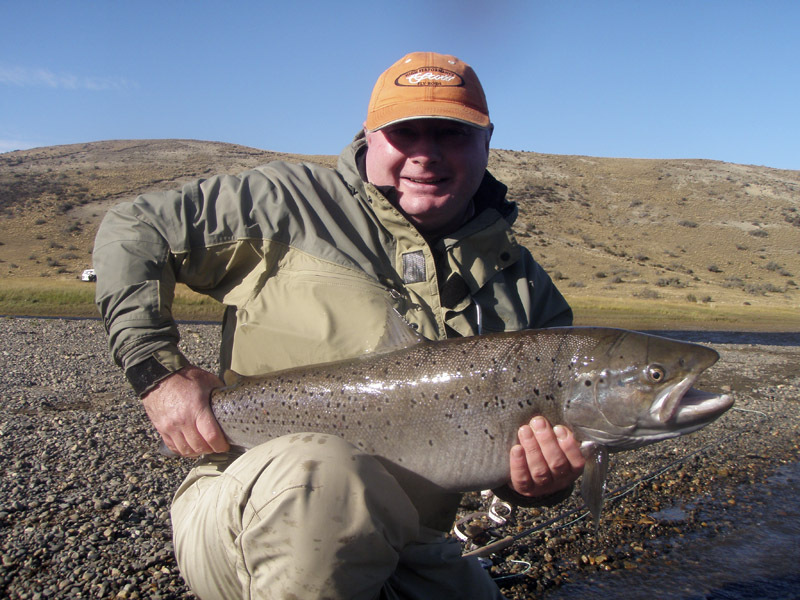 I know you will all be pleased for him, because he’s a gentleman when fishing who has the dogged determination of a saint, of course all the fish on the Rio Gallegos river are safely popped back. I know that Sue Macniven will be replying to this post as she is a good friend of Illtyd and Paul’s too. Apologies i don’t have the photo, but as soon as i get it i’ll email it to you ladies. Paul will be back next week, ready for next weekend. He is giving a free fly tying workshop on the saturday in chester le street for the ladies, and we have the opportunity to tie salmon or trout flies at Chatton Trout Fishery on Sunday morning, or just fish. Afternoon Paul is giving us all the opportunity of tying a Classic Salmon Fly which is something he is recognised around the world for. 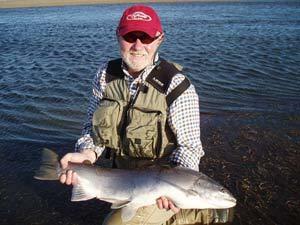 I am sure if anyone can catch a seatrout in adverse conditions it would be Icky, what a fish though! Last time I talked with him about fishing in Argentina he told me that you have to be able to cast a really tight loop to counteract the howling winds, sounds like they got off lightly on that front. Sue thankyou for your comments, he is inspirational, such a star. So glad Paul has caught out in Argentina, he is such a great guy, I wonder ehat fly he caught it on!